Well done to all Shitokai Scotland athletes, coaches and officials who were representing the Scotland National Team at the European Championships. From the nine athletes we had representing their country we had 4 TOP 10 finishes, 3 of which were semi final matches. Representing for Kata were: Emma Ruthven (Female Cadet), Alex Marshall (Male Cadet), Matthew Chalk (Male Junior), Heather McIlraith (Female U21), Chris Scott (Male U21). Representing for Kumite were: Louis Galasso (Male Cadet -70Kg), Amiee Pollard (Female -53Kg, Dylan Rush (Male U21 -67Kg), David McCreight (Male U21 -75Kg). Stephanie Connell and Martin Douglas were representing as National Coaches and Robert McQueen was leading the way for our Scottish Referees. 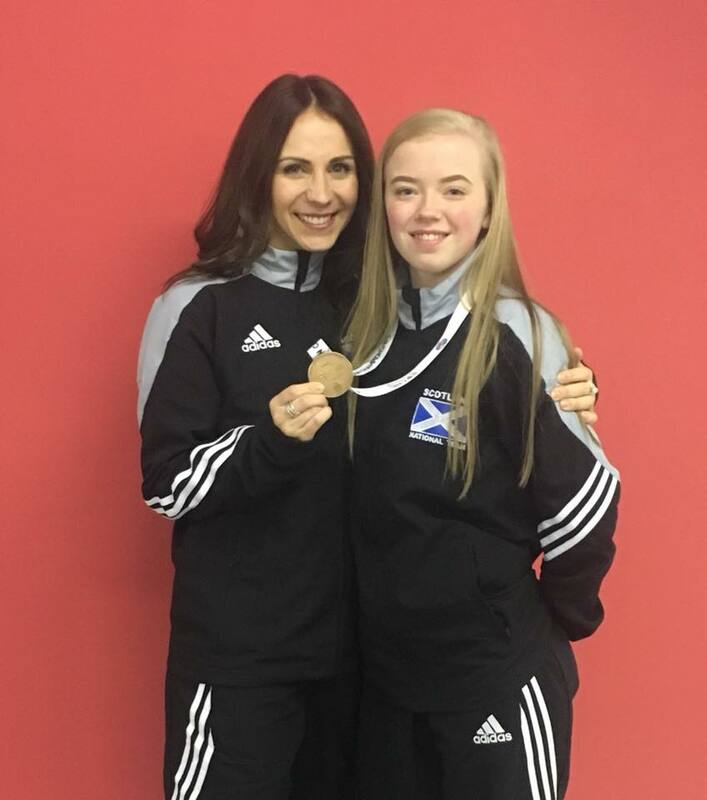 Emma Ruthven returned home with a European Bronze Medal. Emma is the first ever Scottish Female Kata medallist and first kata medallist in over 25 years. Alex Marshall stormed his was into the semi finals and placed 5th. Alex is the first Scottish male kata semi finalist in over 25 years. Amiee Pollard pulled out some fantastic performances beating Turkey and Italy along the way to place 5th in Kumite and Dylan Rush placed 9th in the Male U21 Kumite with some strong performances. Fantastic performances and achievements from all of the team.